On Friday Governor Edmund G. Brown Jr. announced a series of immediate and longer-term actions to bolster dam safety, improve flood protection and fix the state’s aging transportation and water infrastructure. The Governor visited the Incident Command Post at the Orville Dam last week and surveyed the regional flood control system, including areas recently impacted by flooding. This followed the state of emergency the Governor declared and the presidential emergency declaration the Governor secured to bolster the state’s response. Invest $437 million in near-term flood control and emergency response actions by redirecting $50 million from the General Fund and requesting a $387 million Proposition 1 appropriation from the Legislature as soon as possible. Require emergency action plans and flood inundation maps for all dams. Enhance California’s existing dam inspection program. Seek prompt regulatory action and increased funding from the federal government to improve dam safety. According to the Governor’s office, even with today’s action, California has nearly $50 billion in unmet flood management infrastructure needs. 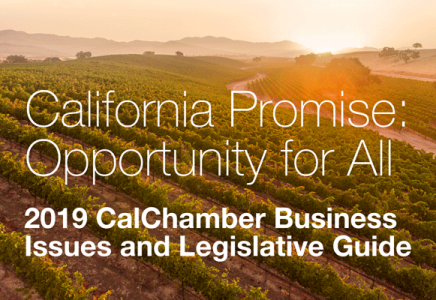 To address these needs, the Administration will continue to work with the Legislature through the budget process on solutions, including potential changes to Proposition 218, which continues to prevent local government from fixing core infrastructure. The Governor’s Office notes that recent storms have not just damaged the state’s flood control system; they have also hammered the state’s roads and bridges. During the storm season alone, Governor Brown’s emergency declarations have enabled the California Department of Transportation to begin more than $595 million in repairs to the state’s roads and bridges damaged by erosion, mud and rock slides, sink holes and flooding. Beyond the current storm season, California faces a broad array of transportation infrastructure challenges: $59 billion in deferred maintenance on highways and $78 billion on local streets and roads, according to the news release. To fix these roads and bridges, Governor Brown and legislative leaders are currently working to meet the goal they set to complete a transportation funding package by April 6. As mentioned in the Governor’s State of the State address, Governor Brown is committed to working with Washington D.C. to invest in California’s infrastructure, Governor Brown sent a letter to the President on Friday seeking expedited environmental review under Presidential Executive Order 13766. This request covers 10 projects: nine high-priority transportation projects and reconstruction of the Oroville Dam spillways. Friday’s request to the President includes projects on the initial list of 51 priority infrastructure projects, which California submitted to the federal government earlier this month. The Brown Administration is reviewing additional projects to submit for expedited review. For additional information on the Governor’s four-point plan to bolster dam safety and flood protection, click here. For more on California’s ongoing flood management, click here.